The study indicates that a parasite is ravaging frog populations in six countries at least, and it could decimate many different species. A highly infectious disease has been spotted in six countries that presents a global threat to the populations of many frog species on three continents — and it doesn’t seem to matter if it’s in tropical or temperate climates. 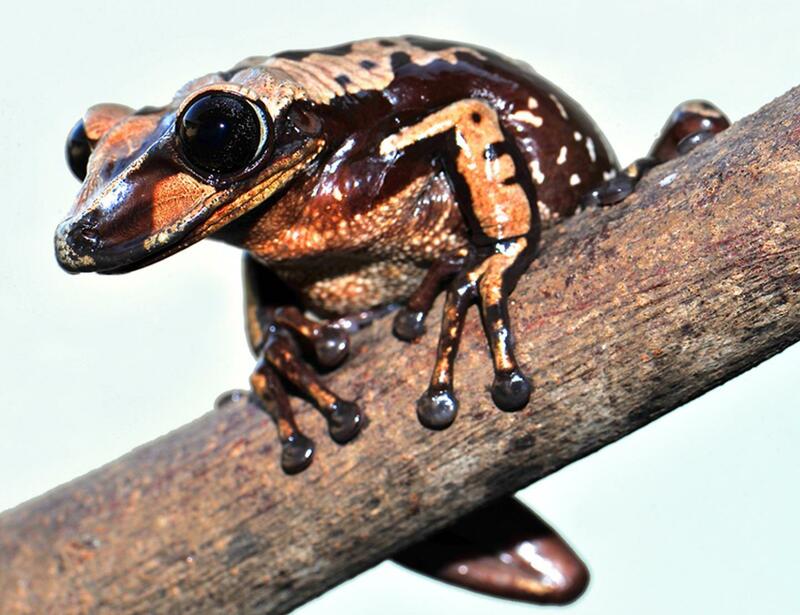 The parasite targets the livers of tadpoles, and as a result large amounts of frogs are dying off, presenting some real extinction concerns for scientists, according to a Discovery News report. The study, which was published in the journal Proceedings of the National Academy of Sciences, was conducted by researchers at the University of Exeter and the Natural History Museum in London. The research team conducted tests that found this infection caused by a marine parasite. They think the parasite is somewhat related to a parasite that is found in oysters. The result? Massive declines in frog populations worldwide, which is a major concern to scientists, who believe that this infection is likely the cause. They think it is part of what had been an unidentified microbial group that infects the tadpole’s liver. Schools of tadpoles are killed by this disease, which then leads to frog populations to decline as they can’t get enough of their young to come to reproductive age to replace them. Researchers will conduct additional research to ensure that it is this particular microbe that is causing the disease that is resulting in the population declines, but they are pretty sure they have their culprit. Tadpole specimens in six countries were tested for the study. Scientists were looked for “protists,” or single-celled microbes that store DNA inside a nucleus, much like human cells. Tadpoles represent the larval stage of an amphibian, and they spend all of their time in the water before they reach adulthood, developing their hind legs first and later their front legs, as well as lungs to replace the gills they live with in the water in order to survive terrestrially.